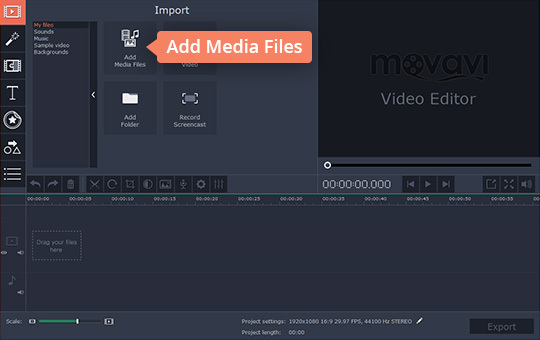 How to Cut Videos with Movavi Video Editor. split, trim or rearrange the segments as you require.. When you want to create a video, one of the first things you’re probably going to want to do is compile separate video clips containing the footage that you need. Part of doing that will also involve splitting the video footage into segments, and trimming out unwanted bits – and all that is commonly referred to as ‘cutting’ a video. 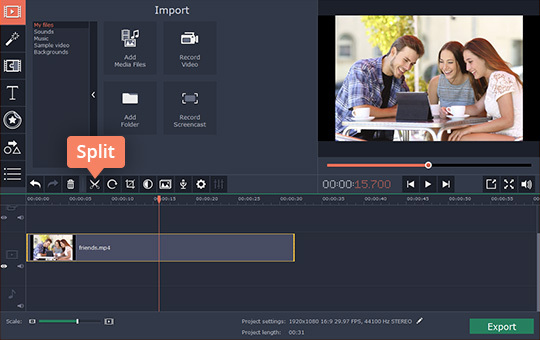 In a nutshell learning how to cut videos is a critical part of creating them – and the good news is that it is really easy if you use Movavi Video Editor. With its help you’ll be able to split your video into parts, rearrange footage, trim out unwanted parts and merge clips together without any difficulty. 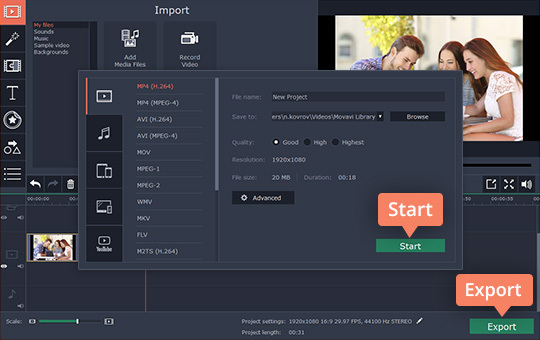 If you have a video that you’d like to cut, launch Movavi Video Editor and select the ‘Create project in full feature mode’ to begin. Next you should load the video by clicking on ‘Add Media Files’ and selecting it, or dragging and dropping it into the ‘Timeline’ area in the bottom part of the interface. After you’ve added the video it will appear in the ‘Timeline’, and you can click on it to select it. To split the video into separate segments you should move the red marker to the point where you want to split it then click on the ‘Split’ (i.e. scissors) icon located right above Movavi Video Editor’s ‘Timeline’ section. If the segment that you’re trying to isolate is at the start or end of the video you’ll only have to split it once. Otherwise you should move the marker to the end point and split it again using Movavi Video Editor. Once isolated, you can click on a segment and hit the ‘Delete’ key on your keyboard to remove it, or right-click and select ‘Delete’ in the menu that appears. If you want to rearrange the sequence of the video segments, you can click on them and drag them around in the ‘Timeline’. Otherwise if you’d like to combine other videos you can add them to Movavi Video Editor as well, then split, trim, or rearrange the segments as you require. That should cover everything involved in cutting videos using Movavi Video Editor, and as you can see there’s really nothing to it. Be sure to try it out at least once so that you familiarize yourself with the editor and its interface, and while you’re at it you should also explore its other features too. Using the tools that are available you could enhance the quality of your videos, apply special effects and filters, add or edit audio tracks, insert captions, and more. Based on what you now know you may be starting to see just how powerful Movavi Video Editor truly is. To be perfectly honest it will equip you with a wide range of features that should encompass practically any type of alteration you wish to make to your videos. Assuming you spend a minute or two with each of them, you’ll be able to create far more impressive videos by the time you’re done.